May 30, 2016  The Director of National Intelligence says the U.S. sees signs that hackers are spying on U.S. presidential candidates. NPR explores who is doing the spying and why. May 25, 2016  But the agency projects that its checkpoints will screen 100 million more people in 2016 than it did in 2013 — even as its workforce has been reduced by 12 percent over that same time period. 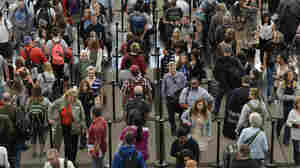 May 24, 2016  The union that represents Transportation Security Administration screeners is calling for 6,000 more screeners to help alleviate long lines at airport checkpoints. It says Congress is to blame for the staffing shortages. May 13, 2016  "Waiting three hours for what may be a two-hour flight or 90-minute flight is not acceptable," Homeland Security Secretary Jeh Johnson said Friday. 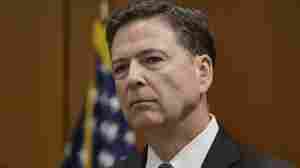 May 11, 2016  James Comey says he is closely watching the bureau's investigation of Hillary Clinton's emails "to make sure it's being done well." 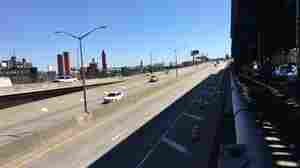 April 28, 2016  Highways are supposed to help get people from one place to another, but Transportation Secretary Anthony Foxx says that in many cases they have also divided neighborhoods. He's trying to change that. April 15, 2016  The FCC says it costs subscribers an average of $231 a year to rent the boxes that enable them to watch cable TV. The president supports making it easier for viewers to buy the boxes instead. April 12, 2016  With taxes on the minds of many Americans this week, a Senate committee looks at how vulnerable taxpayers' information is to cyber theft. The head of the IRS testifies on Capitol Hill. April 8, 2016  TSA administrator Peter Neffenger was in Belgium during last month's terrorist attack at the Brussels airport. He talks about that experience with NPR, and about what U.S. travelers can expect regarding airport security and screening lines this summer. 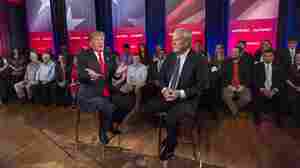 March 30, 2016  In an interview set to air on MSNBC Wednesday night, Donald Trump upset both abortion rights advocates and opponents and drew criticism from the rest of the presidential field. 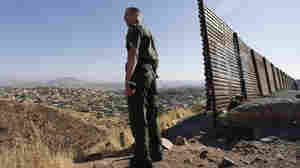 March 30, 2016  National Border Patrol Council said Trump is the "the only candidate who actually threatens the established powers that have betrayed this county." March 29, 2016  The charge and a new video tape come after Lewandowski allegedly grabbed a reporter following a Trump campaign rally earlier this month. Wisconsin Gov. 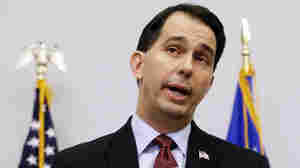 Walker Endorses Ted Cruz, But Will It Help? 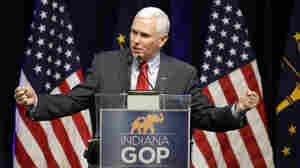 March 29, 2016  The former presidential candidate has thrown his support behind Cruz ahead of the Wisconsin primary April 5. 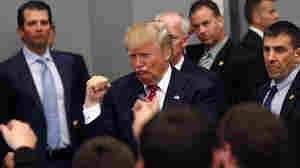 March 29, 2016  Trump beat Ted Cruz in the state's March 5 primary, but he may get fewer delegates because he lost the inside game there.